Candacy Taylor is an award-winning author, cultural critic and photographer with a master's degree in visual criticism. She started driving Route 66 more than 20 years ago and fell in love with the Mother Road while researching her book, Counter Culture: The American Coffee Shop Waitress. Taylor has traveled more than 300,000 miles documenting stories about American culture and identity and has a deep respect for hospitality industry workers because she worked in hotels and restaurants for 12 years. She has lived in every region of the country, eaten in over 8,000 restaurants and stayed in more than 4,000 hotels. 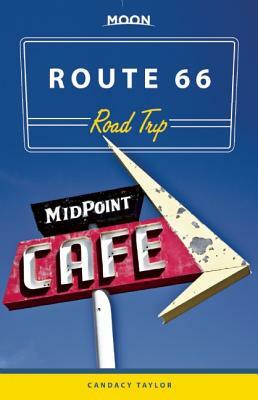 Some of her best memories touring Route 66 are walking through the historic La Posada Harvey House in Winslow, Arizona, eating green chile enchiladas at Tia Sophia's in Santa Fe, going to the Sno-Cap in Seligman, AZ and listening to Angel Delgadillo tell stories about Route 66. Her work has been featured by more than 30 major outlets, including the New Yorker, Wall Street Journal, the Guardian, The Library of Congress, Photographer's Forum, Rachael Ray, PBS, the CBC, BBC and NPR. Her exhibit based on Counter Culture made Southwest Airlines' top-ten list of things to see in America, and ABC optioned the book for a television series. She currently lives in Los Angeles.